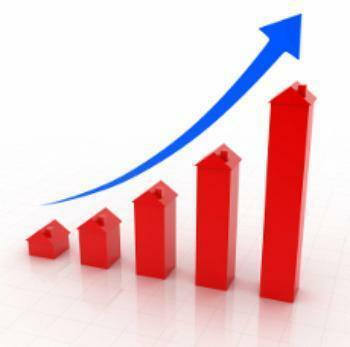 Home prices were on the rise again throughout the country in March on both an annual and month-to month basis. The S&P CoreLogic Case-Shiller U.S. National Home Price NSA Index, which covers all nine census divisions in the U.S., reported a 5.8% annual gain -- setting a 33-month high. Both the 10-City Composite and the 20-City Composite indices rose, posting gains of 5.2% and 5.9% annual increases, respectively. “While there is some regional variation,” noted David M. Blitzer, Managing Director and Chairman of the Index Committee at S&P Dow Jones Indices, “prices are rising across the U.S. Half of the 20 cities tracked by the S&P Corelogic Case-Shiller indices rose more than 6% from March 2016 to March 2017. The smallest gain of 4.1%, in New York, was roughly double the rate of inflation. March's highest year-over-year gains among the 20 cities came in Seattle (+12.3%), Portland (+9.2%) and Dallas (+8.6%). Before seasonal adjustment, the National Index was up 0.8% in March. The 10-City Composite rose 0.9% and the 20-City Composite posted a gain of 1.0%. After seasonal adjustment, the National Index recorded a 0.3% month-over-month increase. Both the 10-City Composite and the 20-City Composite indices rose 0.9% from February to March after seasonal adjustment. Eighteen of the 20 cities reported increases in March before seasonal adjustment; after seasonal adjustment, 17 cities saw prices rise.